Aramaic word used metaphorically of a (discussion cut short, and employed in rabbinical literature chiefly to denote a decision or decree made without reference to any discussion, and delivered either orally or in writing (B. B. 130b). 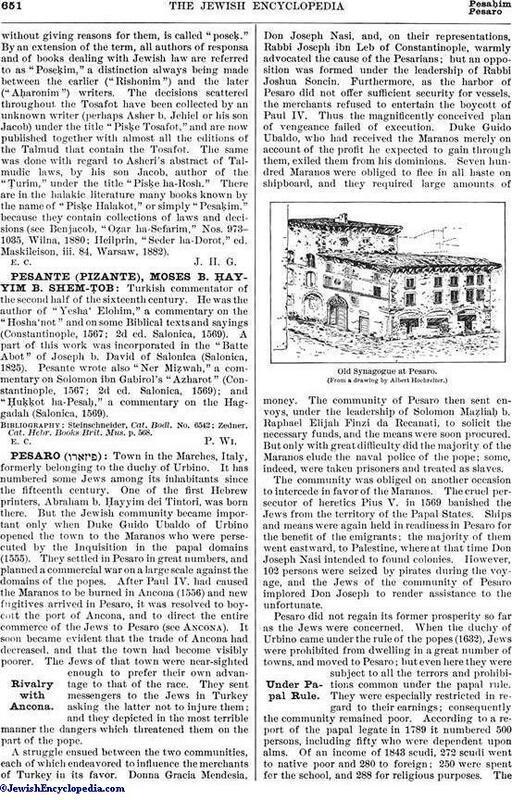 The heading of a section in the Jerusalem Talmud and in the Pesiḳta is also called "pesaḳ" or "pisḳa." Generally, however, the word is used as meaning an absolute, unqualified opinion or statement (Ket. 76b). It is frequently combined with the word "din" or "halakah" (judgment, law) to denote a judicial decree; but it also expresses the same idea when used by itself. The phrase "shales pasḳenen" in colloquial speech refers to the decision of a rabbi, especially in ritual matters. From the frequent use made of this word in rabbinical literature, the codifier, who states bare lawswithout giving reasons for them, is called "poseḳ." By an extension of the term, all authors of responsa and of books dealing with Jewish law are referred to as "Poseḳim," a distinction always being made between the earlier ("Rishonim") and the later ("Aḥaronim") writers. The decisions scattered throughout the Tosafot have been collected by an unknown writer (perhaps Asher b. Jehiel or his son Jacob) under the title "Pisḳe Tosafot," and are now published together with almost all the editions of the Talmud that contain the Tosafot. 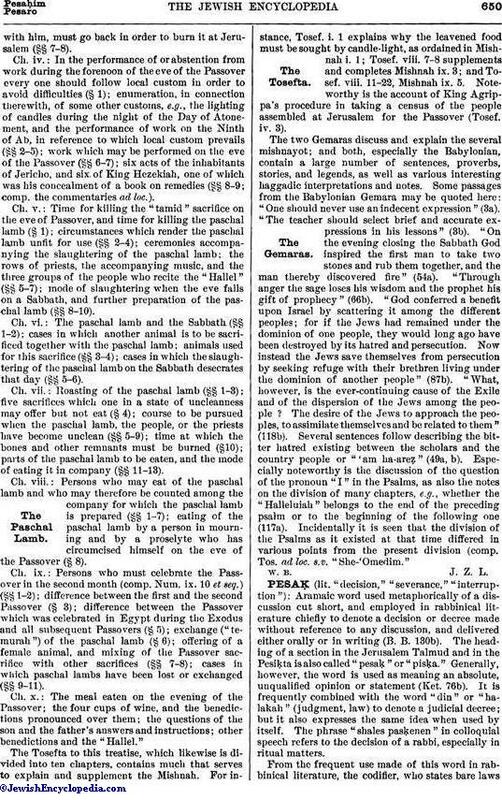 The same was done with regard to Asheri's abstract of Talmudic laws, by his son Jacob, author of the "Ṭurim," under the title "Pisḳe ha-Rosh." There are in the halakic literature many books known by the name of "Pisḳe Halakot," or simply "Pesaḳim." because they contain collections of laws and decisions (see Benjacob, "Oẓar ha-Sefarim," Nos. 973-1035, Wilna, 1880; Heilprin, "Seder ha-Dorot," ed. Maskileison, iii. 84, Warsaw, 1882).